Start a Free Account Now! Invite the whole team (or the world). We send the invites and track the emails. Decide who sees which comments. Make assignments and approve changes. Fully encrypted 128 bit TLS 1.2 connection. Tested by an independent third party security firm. Actual location of course content obfuscated. Each and every file request is authenticated. We collect and organize all the comments for you. 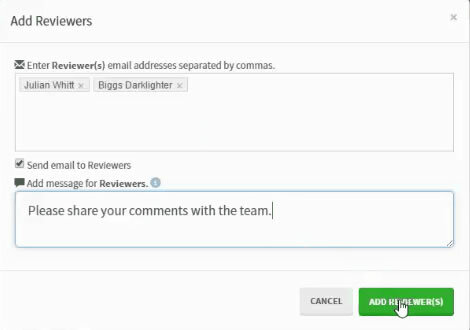 One place for all your reviews.